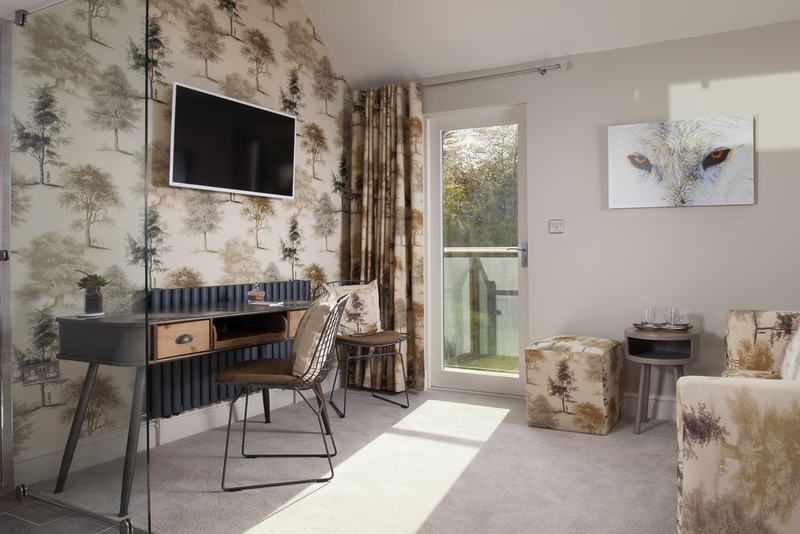 All our Suites and Junior Suites have bath robes, tea and coffee making facilities, quality luxury toiletries and TV with Freeview and radio channels. Free Wi-Fi is available throughout the hotel. All our bedrooms and public areas are non-smoking. Why the odd names? They are all rivers that cross Dartmoor! 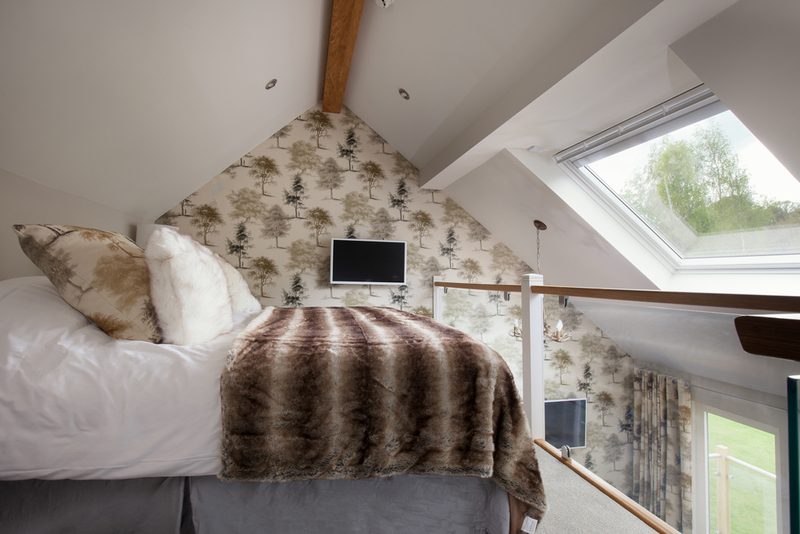 The best room in the house, with a huge en-suite bedroom and a separate sitting room. 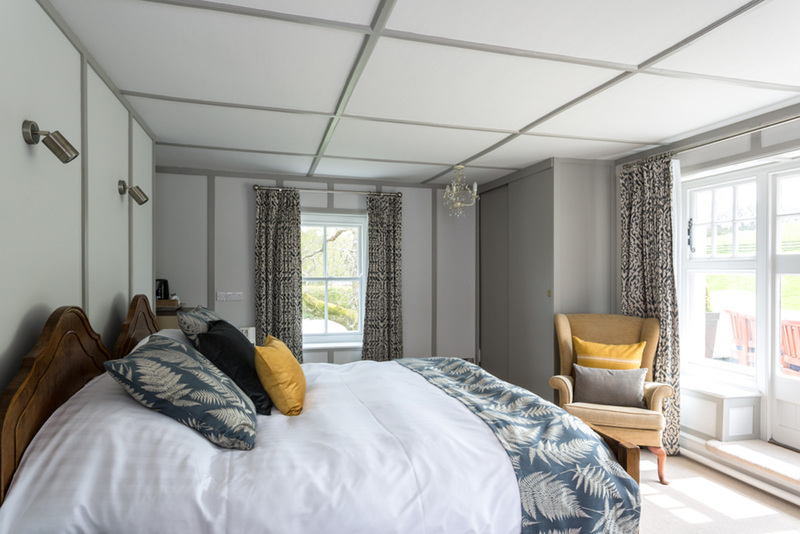 Both the bedroom and sitting room have vast picture windows with fabulous views onto the front garden and across the beautiful Devon countryside to Castle Drogo. 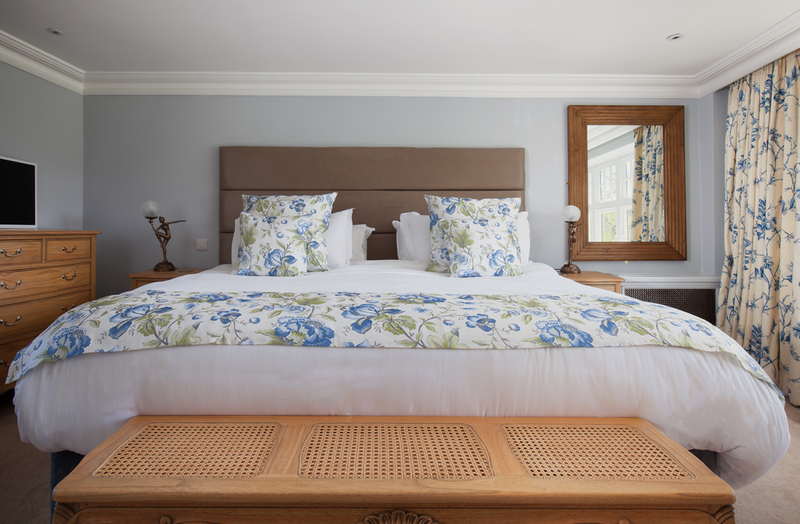 Our master suite is complemented by plush fabrics, antique furniture and a truly comfortable Emperor bed. 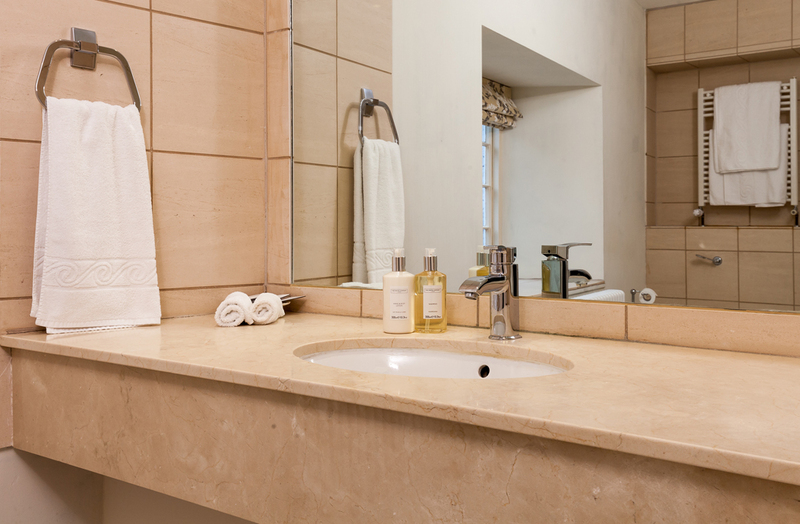 The limestone bathroom has a large bath fitted with a shower. Can comfortably sleep a family of 5. 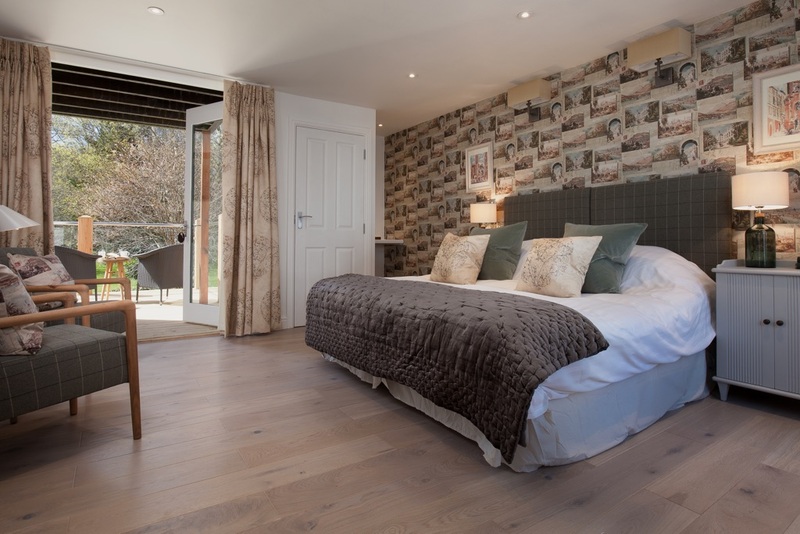 Our latest addition to the Teign wing adjacent to the main hotel is our fabulous split level suite with balcony overlooking the River Teign on the first floor. 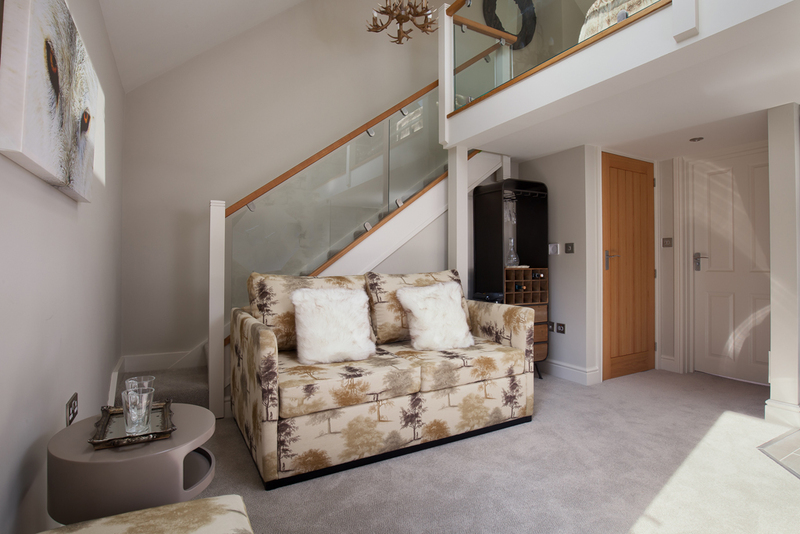 It features a mezzanine with separate sleeping area and spacious lounge beneath. 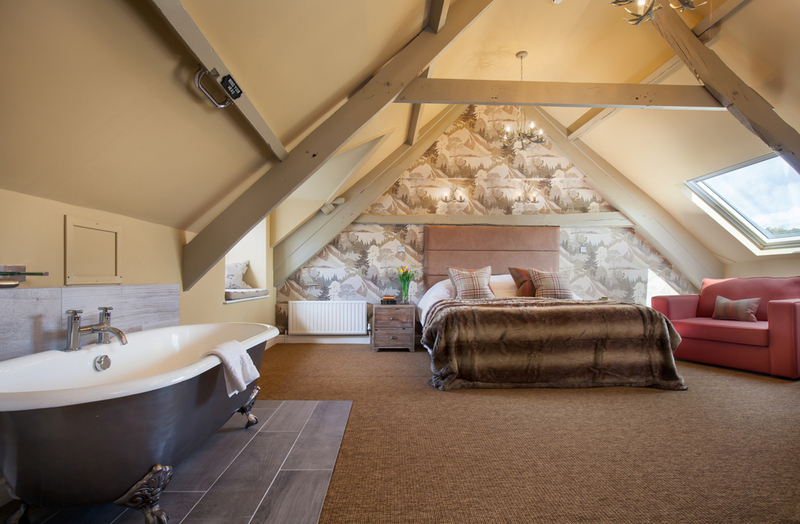 Luxury freestanding bath with a view plus separate shower room and sofa bed. 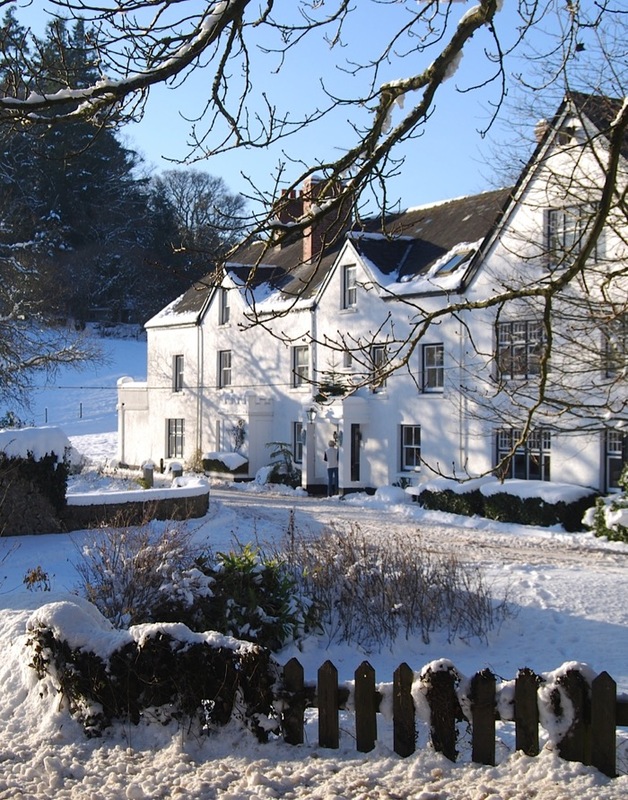 Great for families of 4 but domestic pets not permitted (only wolves!). . One of our favourites! 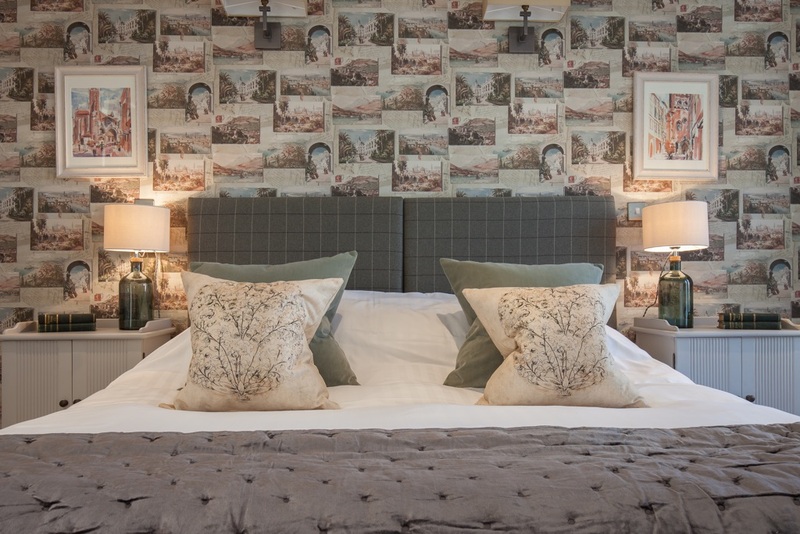 A beautiful, first floor Junior Suite, with a large balcony overlooking the front and side garden of the hotel: Perfect for enjoying a G&T before dinner, or a summer breakfast al fresco. 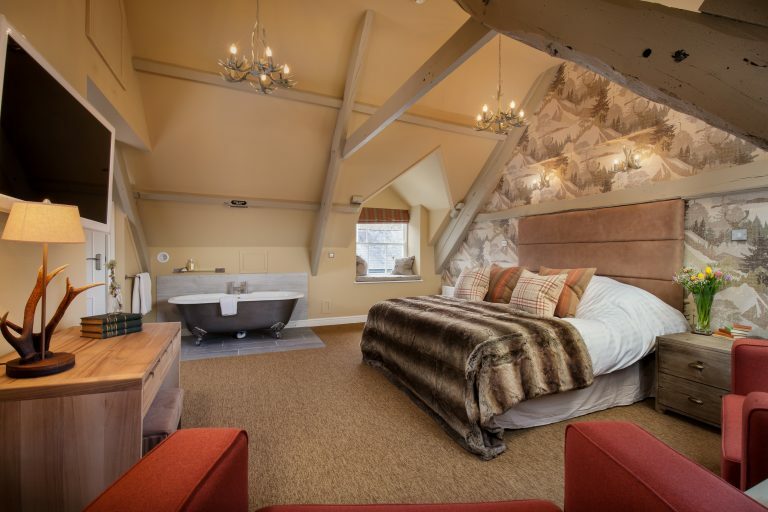 The room has a sumptuous six-foot bed and two comfortable armchairs. 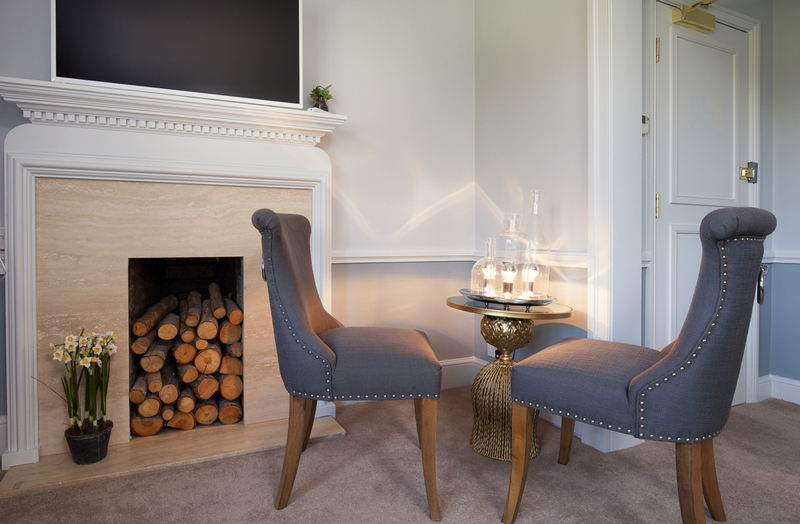 Elegant, antique furniture compliments the old-fashioned wooden beams and panels. The granite tiled modern bathroom has a large bath with fitted shower. 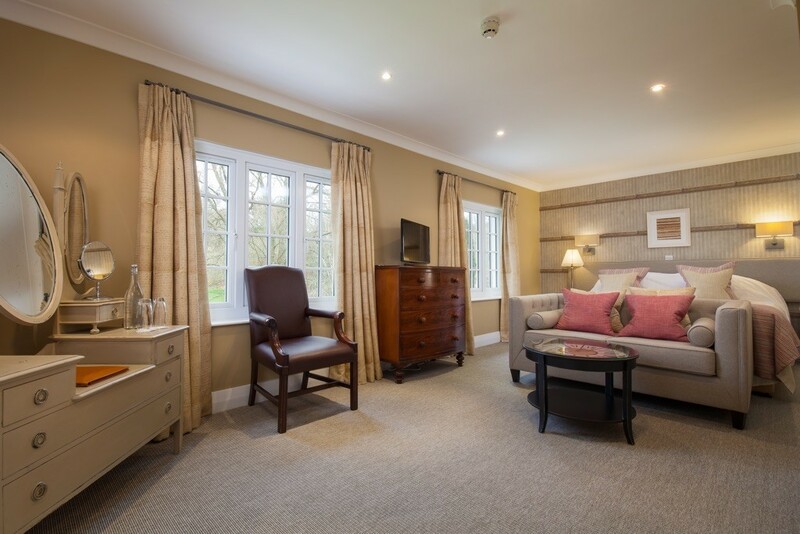 This first floor Junior Suite is a large, bright room with two windows looking onto the hotel gardens. 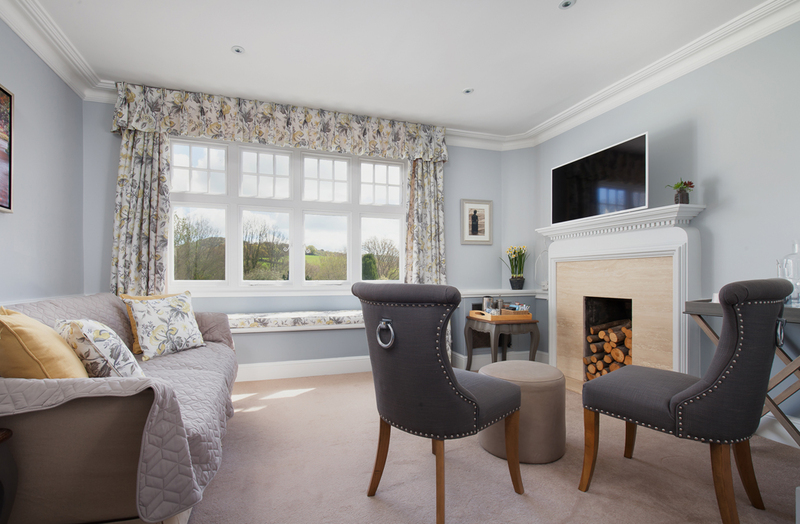 It has a comfortable six-foot bed and a large sofa to sit and read, or watch TV. 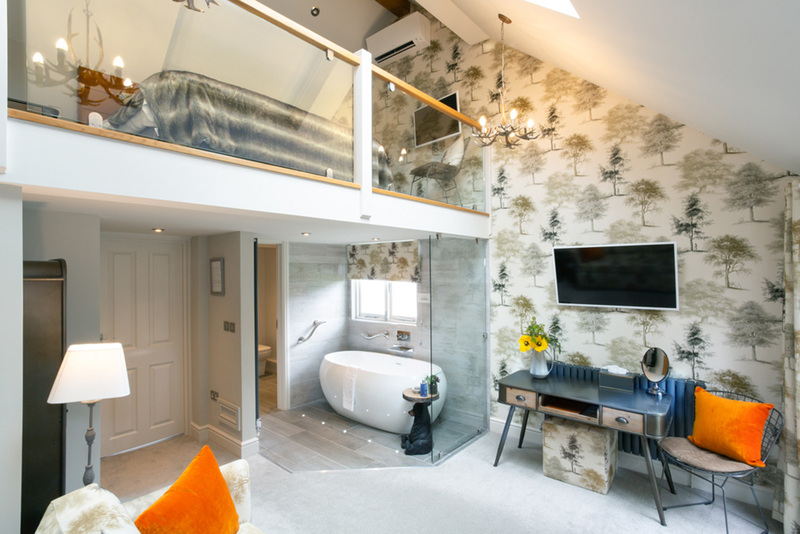 The generous bathroom has a large, deep bath fitted with a shower, and plenty of shelf space where you’ll find our complimentary luxury toiletries.